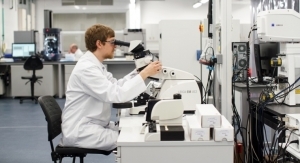 Research Institutions - The Independent Global Source for the Flexible and Printed Electronics Industry. Led by NextFlex, industry, researchers and universities are teaming up on projects with the potential to change how we live. Researchers are developing new capabilities, which are leading to new applications. 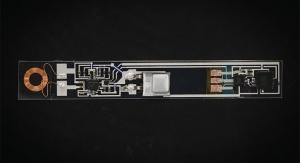 Research institutes are discovering new ways to manufacture flexible and printed electronics systems in their labs. 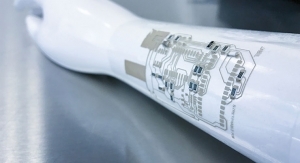 Researchers are looking at the possibilities and challenges facing printed electronics, and are developing potential solutions. 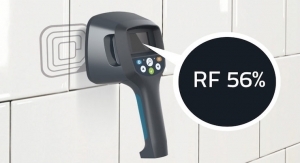 CPI is supporting work to reduce the size of existing wireless sensing form factors by exploiting additive manufacture. The best cell topped 23.2%, imec said. Includes VTT’s financial statement and a review of the organization’s operations. 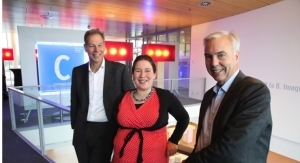 Receives €2.5 million to develop ultra-bright thin-film light sources and lasers. Silent Sensors, Datatecnics Corporation, HP1, Wotzano and PST Sensors are now tenants. 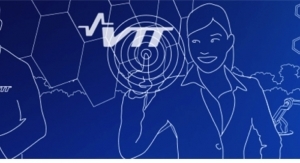 Net turnover of the VTT parent company increased by 4.3% to €15.5 million. Reported $1.86 billion in billings worldwide in February 2019, 23% lower than February 2018. The objective of EARTO is to promote the views of research and technology organizations in the EU and its decision-making. CPES2019 takes place May 16-17 at Domaine Chateau-Bromont in Bromont, Quebec. Technology creates rapid construction potential. NREL employs1,745 full-time and part-time employees. Unique nanomesh combines high porosity, unprecedented surface-to-volume ratio and ease of manufacturing. The special feature of Smart2Go is the modularity of the components within the platform. 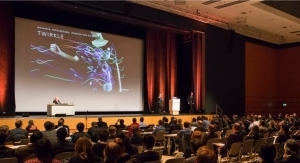 LOPEC takes place March 19-21 in Munich. The research partnership has now obtained a 30.2% equivalent efficiency for a bifacial tandem solar device. 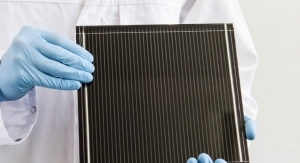 White paper reports that CIGS thin-film solar is set to become a pillar of the global transition toward renewable energy. 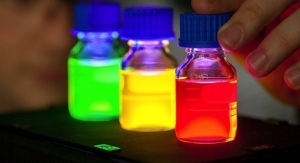 Fraunhofer researchers will further optimize the fluorescent material based off of YVO4:Eu. 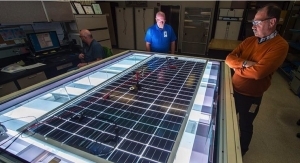 For the past four years, NREL has prioritized improvements to its methods for measuring PV module efficiency. Presenting hybrid flexible OLEDs integrated into textile designs within the EU-funded project PI-SCALE for the first time at LOPEC. 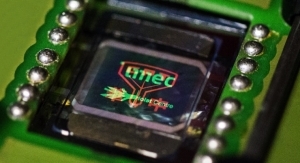 The imec chip was designed in standard 40nm CMOS and has a die size of 1.8mm2. Graphene Pavilion will be in NEXTech Hall 8.0 at Stand 8.0K31 on Feb. 25-28. Karagiozis will manage a team of approximately 100 researchers. 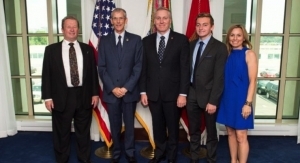 Partnership aimed to improve security configurations for defense infrastructure and IoT-based systems. 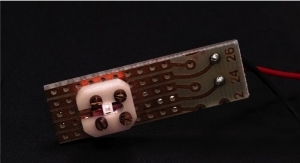 The development of printable electronics is expected to support a number of medical sector advances. Hearne has led research at Intel Corporation and Sandia Labs. Will combine synergetic competencies in nanomaterials. Electronics industry veteran succeeds founding CEO Peter Kallai as organization shifts head office from Ottawa to GTA. 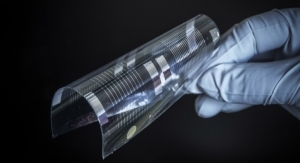 Partners with MiaSole Hi-Tech Corp. to fabricate a flexible solar cell with record power conversion efficiency. 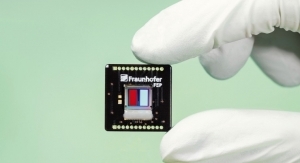 Fraunhofer FEP combines a marker and sensor on very small chip surface. Computer has a calculation speed of two petaflops per second. 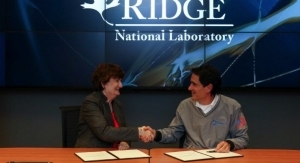 National program brings executives into national lab for knowledge sharing. Goal is to reduce use of natural gas in agriculture sector through lightweight plastic solar roofs. 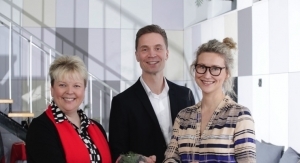 VTT Technical Research Centre of Finland Ltd. is coordinating the sensor development process through EU project called X-Mine. 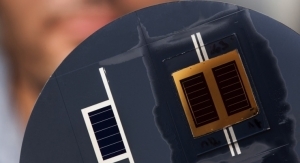 The 2017 proof-of-concept paper established a solar power conversion efficiency of 11.3%. 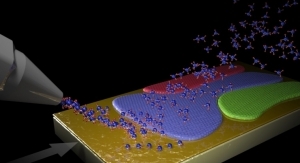 Simple tweak could double the efficiency of organic electronics. 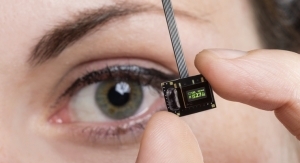 Silicon photonics PIC technology allows for the miniaturization of the sensor. 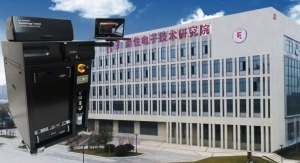 Now in production use, the Eagle more than triples the laboratory’s computing capability. Generates large scale solar electricity on public road infrastructure. 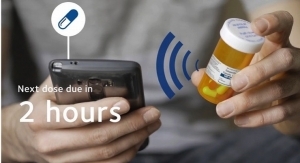 Comfortable with long battery life to measure vital signs. Lab's mission includes R&D in computing, transportation, isotope production, physics, neutron science, and more. Technology already in widespread use overseas, especially in Japan. New paper aids researchers in understanding defects in coalescing materials, helping to develop low-cost substrates for solar cells. Lignin is the material left over from the processing of biomass. Honored for taking leadership roles in community service organizations and achieving career success. 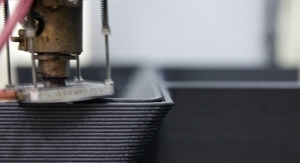 S3D involves the vertical integration of sequentially processed device layers. 2D materials could provide the path towards extreme device-dimension scaling. Honored for production of multiple highly cited papers ranking in the top 1% by citations during 2006-2016. 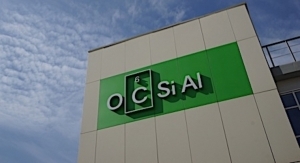 Holst Centre, Fraunhofer FEP demonstrated possibility for continuous production of OLEDs of any length. 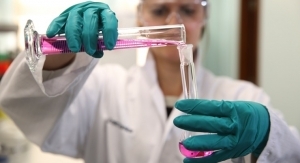 Develop new technology through Siegwerk Inks and Coatings Laboratory. The facilities will be built in three stages between 2020-2024. Report lacquering and polishing as most efficient technique for surface optimization. 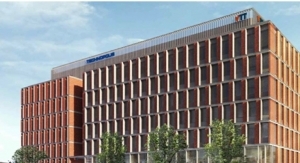 ​Graphene Flagship, Human Brain Project, Quantum Flagship will showcase their latest developments. Both are fellows of SME and ASME. his year’s six honors bring ORNL’s total of R&D 100 awards to 216 since 1963. 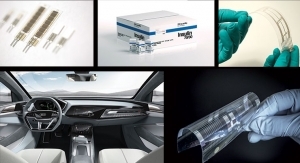 LOPEC 2019 will highlight printed electronic component for the automotive industry. 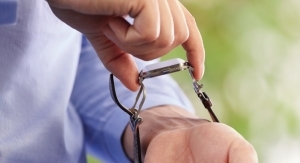 The tags are thin and flexible, metal-oxide tags, integrated in paper and plastic products. 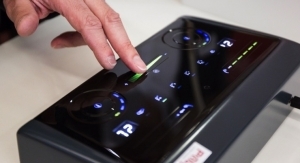 Holst Centre: "Opens the door to 'endless OLEDs' that manufacturers and designers can then easily tailor to their own needs." 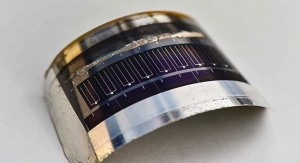 Lens features integrated LED light, ultra-thin silicon microchip, RF antenna and stretchable thin‐film interconnections. 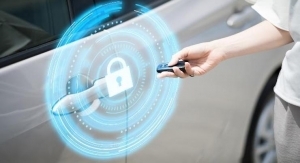 A BLE device, such as a mobile phone, acts as a digital car key. Product launch expected in 2019. 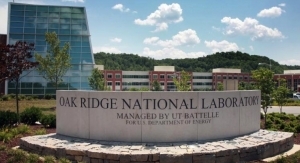 Researchers at ORNL, other DOE national laboratories were commissioned to evaluate and analyze options, offer tools. 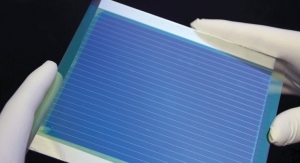 Photonic soldering enables off-the-shelf solders to bond surface-mount electronics to polymer films in seconds. 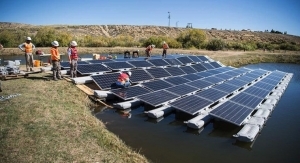 The influence of the seawater on the lifespan and efficiency is being examined by Solliance Solar Research. 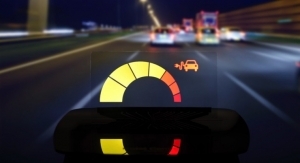 Key topics: Automotive applications and the future of electronics. CSEM leads European Quantum Technologies Flagship initiative. 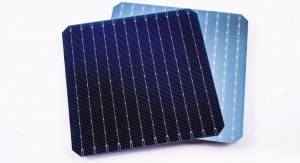 Focuses on integration of thin film solar technology in building materials and flexible applications. Gaute Hagen, Masaaki Matsuda and Parans Paranthaman have been honored by the American Physical Society. 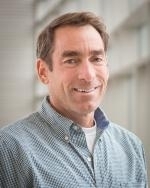 Friedman is only the fourth person in the 41-year history of NREL to be named an APS fellow. 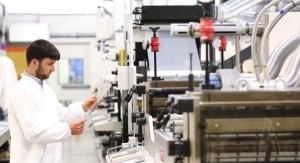 TUT, VTT are coordinating project on Finland’s stretchable electronics technology and production processes. 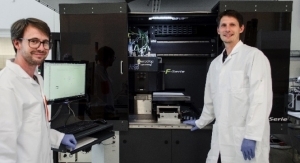 NovaCentrix's photonic curing tool goes to IFET Institute. The 18-month project is backed by Innovate UK funding. 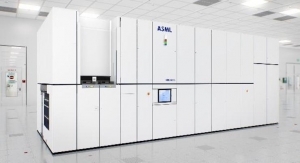 Intensified collaboration will advance high-volume production with current EUV lithography and develop future EUV systems. Endowment honors Eric Steinbach, former president of publishing solutions for Quad/Graphics Inc., who died in February. Coats individual fibers with metal on fabrics in selective patterns without changing its physical and mechanical properties. Event showcased center’s high speed roll-to-roll integration and conversion capabilities. The agreement states the organizations will cooperate in three main ways, including accumulating research. Materials Accelerator Forum will be held Nov. 13 in Manchester. 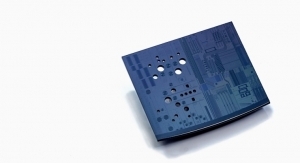 For the first time, a new backplane concept for OLED microdisplays is to be implemented at Fraunhofer FEP. 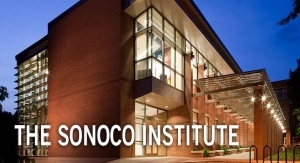 The first cohort of the program will be launched in the spring of 2019. Awarded UK government funding for five-year research project. NAUM takes place Oct. 31 in Shanghai. 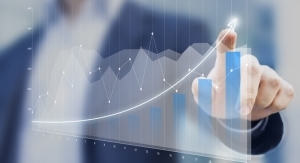 Imec reports there is a clear technology roadmap to eventually surpass 24%. 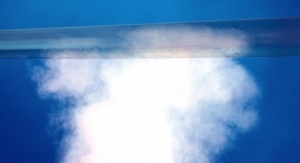 After a thermal stress test, the cell performance showed still 93% of the initial performance. Introduced at the EU PVSEC conference. Speakers from industry, institutes and R&D will present the latest developments around Coating, Printing and Laminating. A Prototype of VR glasses and the new displays can be seen at AWE Europe 2018. Manufacturing Extension Partnerships in Massachusetts and New York have each planned regional events. New intelligent water management system based on wireless sensor network and self-learning software. Notes potential of using ruthenium (Ru) as a disruptive interconnect material. 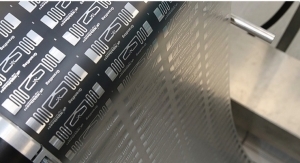 The technology has now been transferred to a roll-to-roll process with even higher surface quality. Highlights include electrically colorable windows, printed sensors and biodegradable coatings for compostable packaging. New DOE system named no. 1 on latest TOP500 list. Memory is now the primary market segment for semiconductor products. ​Optical microcircuits enhance health, security and computation capacity. Selects 19 leaders to learn from some of our laboratory’s prominent scientists. Tests on parking with help from the Internet of Things underway in Tampere. These results will be presented on June 20 at the VLSI Technology Symposium, in session T8: Advanced FinFET and GAA. 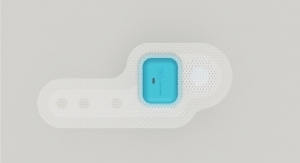 Company is developing a wearable, fully disposable, medically graded sleep diagnostic device. Received several prestigious awards and witnessed strong growth in industrial revenues. Condition-based maintenance, system analytics, AI, and embedded sensing will contribute in area of energy and data solutions. Technology targets replacement of L1/L2 SRAM cache memories in high-performance computing applications. Designed for IoT applications demanding very low power consumption, such as leave-behind sensors or wearables. 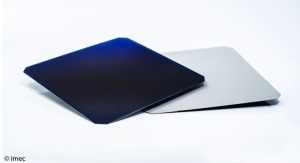 Partners with Meyer Burger to develop heterojunction solar cell technology. 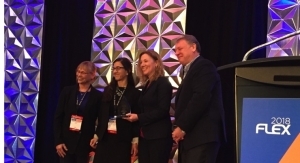 First Women in FHE STEM Award presented to Michelle Chretien. CPI is part of a ten-strong partner consortium on SmartEEs. 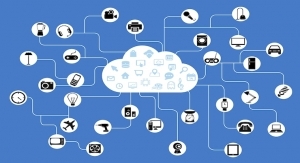 As part of its Necomada project, CPI has created new inks and adhesives for the IoT. 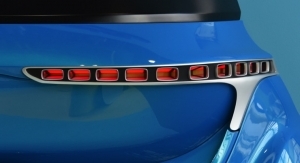 In-car HUD shows power of flexible, transparent OLED lighting technology. 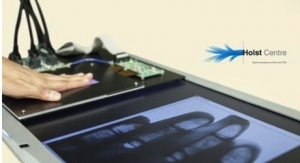 Integrates sensing, lighting and haptic feedback to create an interactive media surface panel for Kone Corporation. It is capable of performing multiple tests in parallel. The new sensors can be embedded into objects such as mobile phones and door handles. Will utilize special continuous measuring technology developed by CSEM. 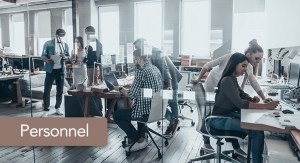 Product designers will be able to embed sensing and connectivity into their designs. 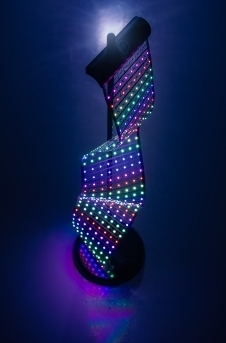 Shows self-illuminating pixels for a new display generation. 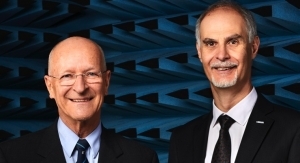 Honored by SPIE for his work in sensor and nanomaterials research. Mowafak Al-Jassim, Andy Walker, Robert McCormick, and Gregg Beckham are honored. Attendees heard success stories from partners and associate companies, both SME and large enterprises. 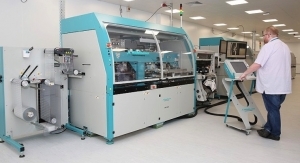 The facility will create rolls of thin, flexible inlays containing multiple electronic components. CPES2018 takes place from May 23-24 at Centennial College’s Conference Centre in Toronto. 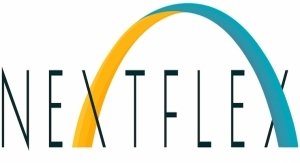 NextFlex just kicked off an 18-month Air Force Research Laboratory (AFRL)-sponsored project. 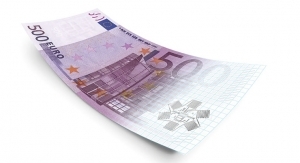 The ESPResSo consortium has been granted over €5 million by the EU. Collaborating with RISE Acreo on silica glass for fiber lasers. 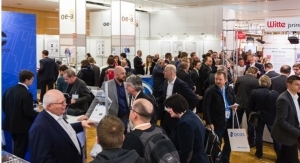 Technology displayed at Printed Electronics Europe in Berlin. RdTools standardizes calculation methods providing better module performance and degradation analysis. The efficiency was measured on an aperture area of 144 cm2. 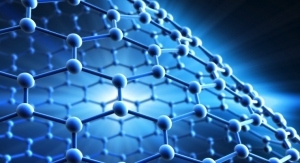 The past year has produced a number of breakthroughs in graphene and 2D materials. The contract will cover costs over the period of April 1, 2018 to March 31, 2020. 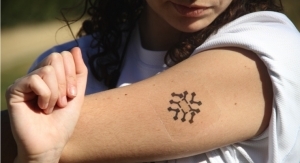 Highlights possibilities for flexible organic electronics for wearables. 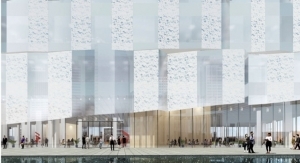 Modules are being designed as architectural elements in building façades. The High Throughput Experimental Materials (HTEM) Database contains more than 140,000 sample entries collected by NREL. 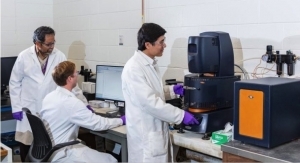 Commercialization project focuses on health and wellbeing rapid tests. 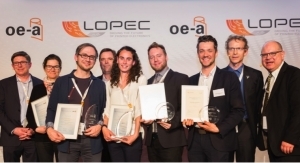 LOPEC highlights special merits, innovative ideas and start-up companies. Consortium including Ynvisible awarded $10.7 million over four years. Will automatically design complex mechanical systems. 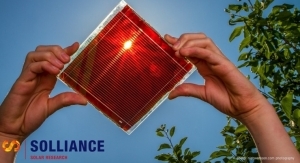 Solliance has developed a perovskite solar cell with 93% average near infrared transparency. Seamless communication may soon be possible even in crisis situations. Exhibition grows by 6%, while conference with 188 presentations is well received. Annual industry honor is presented to the individual who has significantly advanced the field of semiconductor technology. Localized control of the CVD process allows evolutionary, or self-selecting, growth under optimal conditions. ​He has more than 10 years of experience in the management of international relations as the head of EU Affairs at Neste. 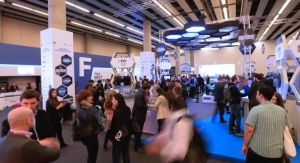 Exhibition and conference includes Panel Discussion, Demo Line, Award Show and more. Focusing on solving customer challenges and creating opportunities. 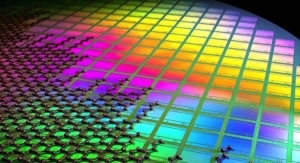 Extreme ultraviolet and 193 immersion lithography technology and Cadence digital tools used to design 3nm CPU core. 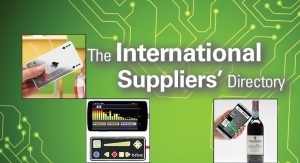 Exhibitors will showcase numerous prototypes and commercial products with printed electronic components. CPES2018 takes place from May 23-24 at Centennial College's Conference Centre in Toronto. Honored for his international recognition in the field of material properties of graphite and carbon. 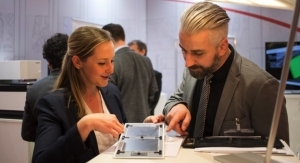 Will show OLED Lighting Design Sample Kit for the first time at LOPEC 2018. Combines flexibility, low cost and high technical performance enabled by roll-to-roll mass manufacturing technology. Honors individuals who go above and beyond to push FHE development toward manufacturability and commercialization. Real work now begins with Advanced Manufacturing Supercluster partners. ORNL and collaborators have pioneered the development of larger, faster and more complex large-area additive systems. 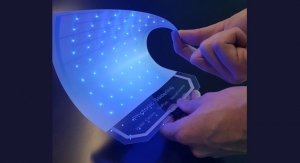 E Ink, GE Global Research among 2018’s honorees. 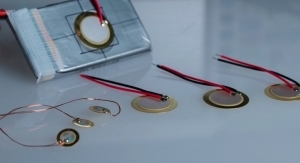 Uses lowest supply voltage ever reported, enabling longer battery life. 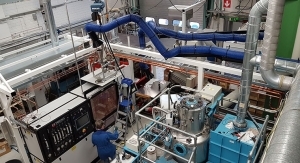 Partnership has led to developments in electrode technology and interconnection materials. 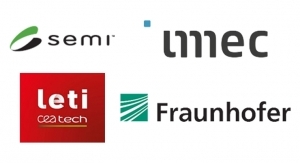 The Fraunhofer Institute for Organic Electronics will be at the Embedded World 2018 Exhibition & Conference. 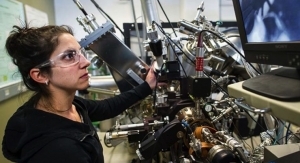 ELQ-LED project focuses on new cadmium-free quantum materials. 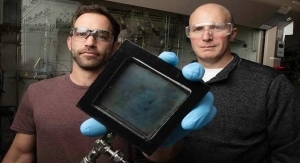 Creates an environmentally stable, high-efficiency perovskite solar cell. Offers 360-degree panoramic view onto single sensor matrix. 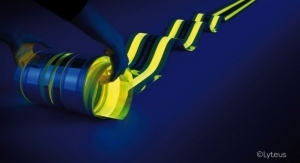 Will highlight novel, highly productive process for robust layers on flexible materials. 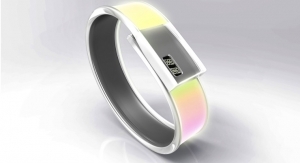 The OLED band can change color as the wearer achieves their sports goals. 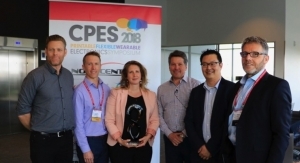 CPES2018 is Canada’s top event for flexible and hybrid electronics. 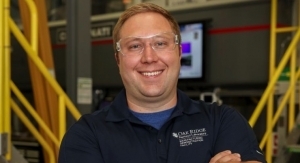 Brian Post is building the future of large-scale additive manufacturing at the Manufacturing Demonstration Facility at ORNL. Theelen works with Solliance programs and conducts research into aging behavior and longevity of CIGS thin-film solar cells. Honored for outstanding achievement in semiconductor equipment and materials marketing. Largest study of its kind uncovers links between stress, physiological factors. Technology to advance neuro research, e-learning and virtual gaming demonstrated at CES 2018. 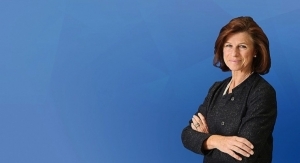 Tua Huomo to start as EVP of Knowledge Intensive Products and Services. 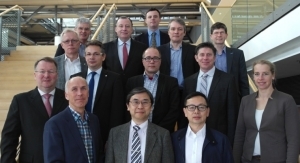 Leaders discuss the 10th LOPEC, which will be held in Munich, Germany, March 13-15, 2018. 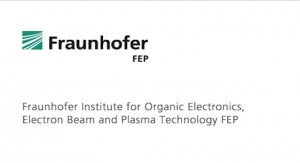 The Center for Applied Nanotechnology CAN to become new research division at Fraunhofer IAP CAN. Selling its wholly owned subsidiaries VTT Expert Services Ltd and Labtium Oy. Biggest challenge within the complex laser process is to ablate certain layers of the OPV layer stack in the nanometer range. Adds Stephen Burgess, Mary Champion, Allan Cook, Andy Neely and Margaret Wood to board. 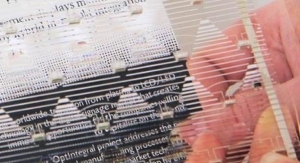 MICROOLED and Fraunhofer have been working together in the field of design and technology of microdisplays. 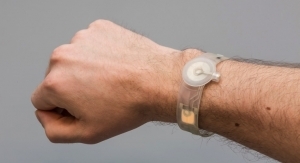 Develops a new generation of blood pressure monitors. These LEDs will eventually be used in production, disinfection, the environment, life sciences and medicine. 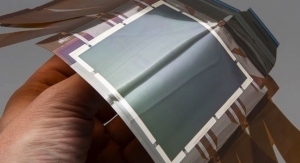 Flexible and printed electronics are showing consumer electronics the way. Demonstrated multiple optimizations for the fabrication of stacked silicon nanowire and nanosheet FETs. 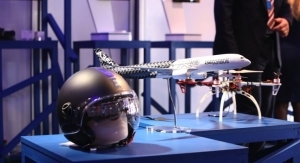 Partnership to explore advanced technologies, launch suborbital space R&D projects. Provides a promising route for suppressing parasitic source/drain resistance in advanced pMOS devices. Adds CTT Group and C2MI, two leading research centers. 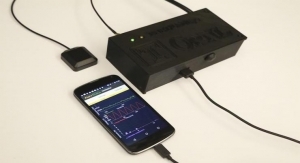 Developing systems that can be integrated directly into the battery and can measure the state of charge more accurately. Demonstration device responds to sunlight by transforming from transparent to tinted while converting sunlight. Shows array of interactive demonstrators and prototypes. ORNL has won 210 awards since 1963. 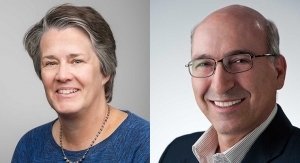 Nancy Haegel elected a Fellow of the American Physical Society (APS); Ahmad Pesaran Fellow from SAE International. 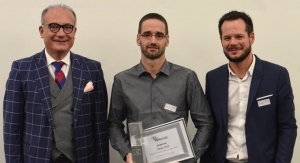 Honored for research in the field of flexible glass and latest innovations regarding OLED microdisplays. InviSense will venture into the concrete industry. Will collaborate in R&D for advanced semiconductor technologies. 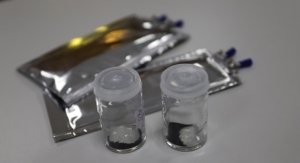 Offers a lithium ion conductivity several times greater than its liquid equivalent. 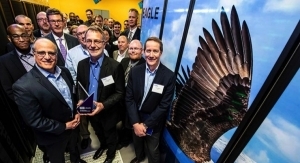 NextFlex celebrated 24 member-generated projects valued at $45 million. 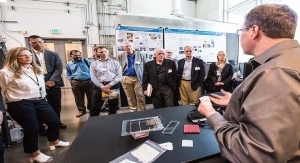 The third Graphene Flagship US-EU workshop will take place Oct. 23-25. 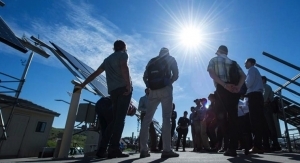 Focus is on NREL’s collaboration with more than 700 partners. 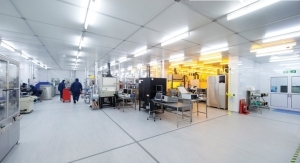 Steps forward in nanomaterials industrial applications. 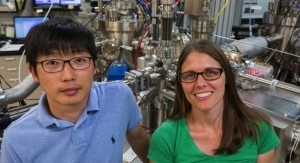 Unlocks potential for alternative electronics. Goal is to innovate devices that are low-power and come with improved or completely new sensing capabilities. Deposition rates increased from approximately four cubic inches per hour up to 2,400 cubic inches per hour. Partnering with Groupe Graham International, National Research Council of Canada. Electronic components completely break down biologically after operating life open up novel applications, reduce impact. Circuits and much more will no longer be printed simply on foil and other flat surfaces. 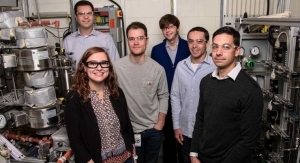 Leverages power of silicon fabrication to develop unprecedented electrode density. 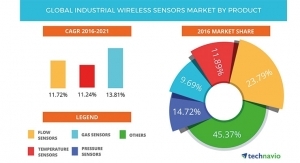 New high-precision large-range pressure sensor combines MEMS, photonics technology. 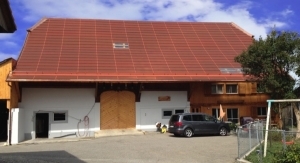 Terracotta-red solar panels have been installed on the roof of a farmhouse in the village of Ecuvillens. Employees contribute $858,000 to this year’s United Way campaign. Cover a range of driving situations, including parking, overtaking on highways, and driving through urban intersections. 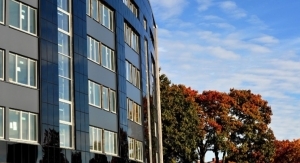 Stainless steel provides excellent barrier properties against environmental influences. 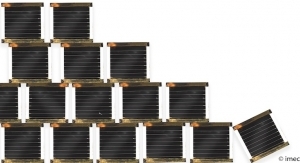 The mini module (200 x 185 mm) contains 37 cells and has an aperture efficiency of 9.3%. Pushing the pixel density beyond 1000 ppi is a necessary step for implementation of next-generation displays. 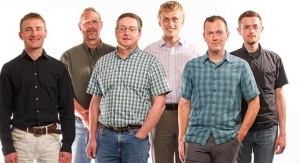 Leads the Thin Films & Nanostructures group in ORNL’s Neutron Sciences Directorate. Succeeds Bob Coxon, who served CPI as chairman for 14 years since the company was set up in 2003. New design options for lighting designers. Adds three new members to alliance. 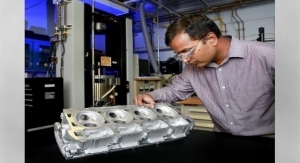 Intelligent Energy developing new conductive coatings containing nanocarbons. 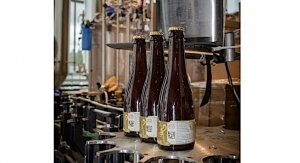 The first 'digital beers' will be brought to store shelves. 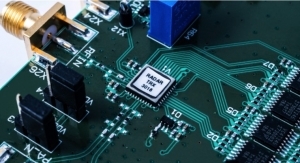 Offer an alternative to conventional silicon-based CMOS imagers and hybrid solutions. Launches intelliWEAR as part of a new initiative to drive Canada’s wearables and smart textiles industry. 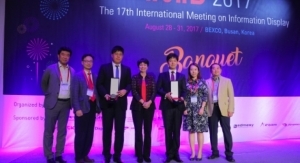 Honors top researchers during IMID Korea. Available by joining imec’s industrial affiliation program or through IP licensing. 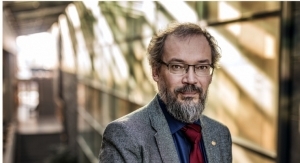 Honored for his development of nature-inspired DNA-based nanodevices for sensing applications. 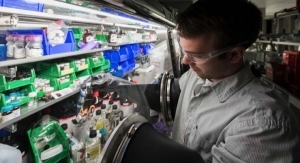 Facility completes energy storage ecosystem that makes lithium-ion battery development process more efficient. 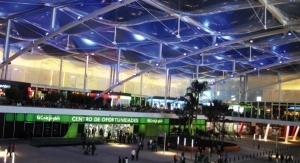 Developing translucent and transparent membrane roof and facade elements with optoelectronic components. 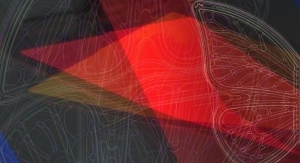 CSEM is studying the potential use of perovskite as part of the European CHEOPS Project. UV light resulted in a greater percentage of bonds between gallium and selenium. Will collaborate on medical technology, engineering and robotics. Sept. 13, 2017 workshop will explore how FHE adds functionality, decreases weight and impacts design. 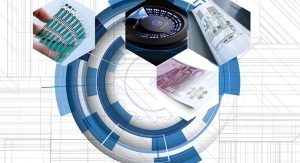 OE-A, EPSRC, FlexTech host conference covering the field of printed electronics. Fiat-Chrysler Group, Velodyne LiDAR, SBD Automotive, DuPont, NextFlex and more will be on hand. 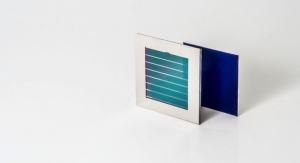 imec is the first to achieve a module-on-cell stack that outperforms the stand-alone silicon solar cell. Cybersecurity and defense leader will advance lab missions, including protection of US critical infrastructure. Parmeter served more than 23 years as an active duty infantry officer, retiring at the rank of colonel in 2014. Was group manager for Building Envelope Systems Research at ORNL. 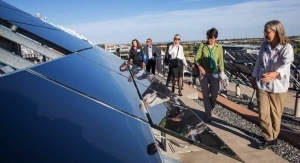 CSEM is highlighting Swiss technologies, including solar Astana-bag. Strengthens multifunctional electronic materials and devices research. 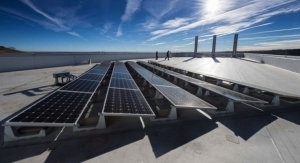 Project optimizes Denver’s Peña Station NEXT net-zero energy development. It is the second national award bestowed on the laboratory this year. Buchanan has been associate laboratory director for physical sciences since 2004. Target is 100 GW of solar and 60 GW of wind, up from 9 GW of solar and 29 GW wind today. Interactive sense-making system seeks to ‘explain’ AI decisions. Collaborates with scientists from KU Leuven in Belgium and Pisa University. 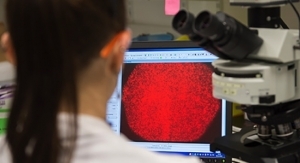 Grant will support ongoing research into the use of quantum dot nanoparticles within cancer imaging. iNEMI’s largest and most extensive roadmap is on sale online. 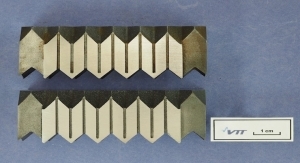 Researchers are optimizing reactive composites like vinylester for use in large-scale additive manufacturing. 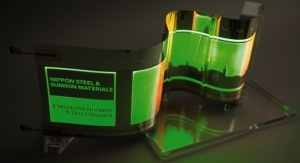 Fraunhofer FEP, Sefar develop roll-to-roll processed large area flexible OLED. Project to help manufacturers increase object complexity by 10 million times compared to current systems. Discusses roll-to-roll manufacturing, hybrid tandem solar, CIGS and perovskite-based solar technologies. Yuasa will provide equipment to NextFlex for the testing of new manufacturing tools and materials. 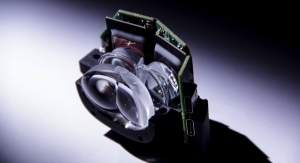 Focused on sensor systems, in mold electronics, OLEDs and LEDs. 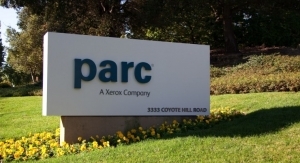 Records $81 million in revenue as Swiss industry innovates. 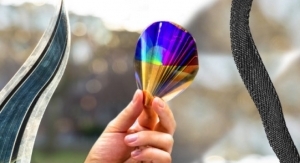 First to develop these GaN-on-silicon wafers. 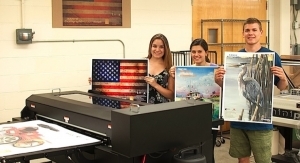 Installs several state-of-the-art pieces of production equipment. Lynceus2Market is developing tools to enable commanders of large ships to efficiently locate people. 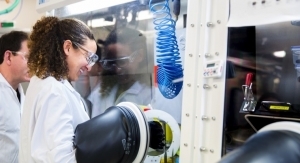 Program’s goal is to develop knowledge of hybrid tandem solar cells with a conversion efficiency of 30% or more. NextFlex’s Jason Marsh, Flex’s Anwar Mohammed to address challenges, solutions for wearable electronics. 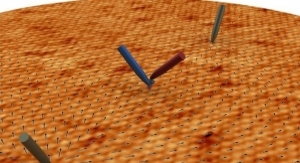 Seeing the invisible with a graphene-CMOS integrated device. Will partner on technical working groups and educational events such as webinars, technical seminars and conferences. Concentrated on p-SiGe contacts, comparing the effects of high-dose boron and gallium doping. Offers good power consumption, switching speed, scalability and retention. Optomec to deliver multiple systems for printing 3D sensors, 3D antennas and 3D electronics as part of $3 million project. 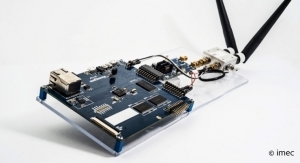 Demonstrate RFID tag and read-out system with a screenprinted antenna. Torres joined Sandia 27 years ago, and served as deputy to the VP for energy and climate programs. Plans to jointly explore condition-based maintenance opportunities. 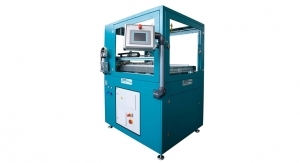 Will showcase high-performance roll-to-roll processing for flexible electronics. Dr. Miller spent the last 13 years with GE Global Research, where he led R&D teams for wearable devices. JVIC is a state-of-the-art facility affiliated with Missouri State University. 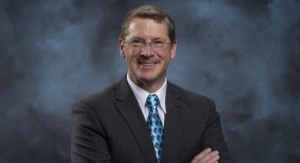 Has served as ORNL’s deputy for science and technology. Will introduce simulation software that accurately predicts the daily energy yield of solar cells and modules. 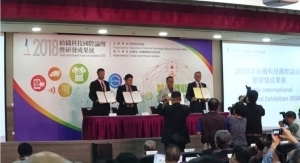 Industry associations formalize collaboration to drive continued development of PE, FHE technologies. 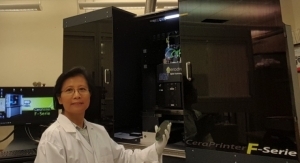 In partnership with ITRI, Brewer Science is exploring new realms of printed sensor performance. 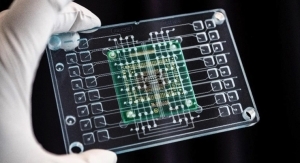 Test system enables pre-bond probing of 3D chips with large-array fine-pitch micro-bumps. 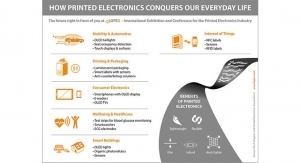 Call for more sector investment at Canada’s premier event for printable, flexible and wearable electronics. Showing how members are fulfilling the promise of flexible hybrid electronics to transform manufacturing in the US. Technology paves way to low-cost augmented reality, virtual reality applications. Studying properties for photoelectrochemical and photovoltaic solar applications. 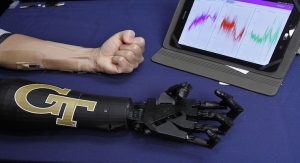 Future advanced prosthetics under development will provide amputees with rich sensory content from artificial limbs. Necomada project involves collaboration of 13 partners working on integrating electronics into everyday items. 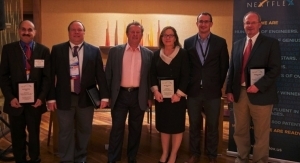 XTPL SA, Copprint, Holst Centre and FlexEnable receive honors. 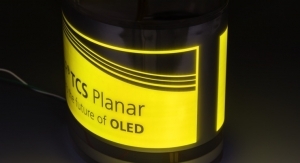 Developing application-specific OLED microdisplays based on OLED-on-silicon technology. 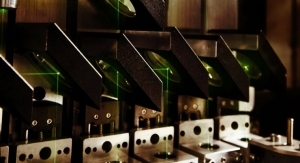 Leading OEMs, research institutes validate repeatability, transferability of Optomec LENS process for aerospace components. Successfully completes important freeze/thaw performance testing. 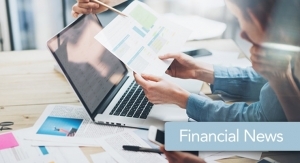 InScope’s goal is to facilitate the commercial adoption of this promising technology. EPFL, CSEM researchers to show new method of creating crystalline solar cells with electrical contacts at the rear. Awards contracts totaling $45 million to date for developing FHE into a commercially vialable US industry. 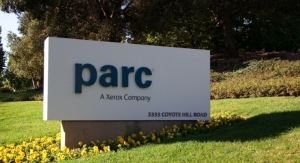 PARC, Intact Solutions and Oregon State University to reduce complexity of design for advanced manufacturing. Will bring innovative technologies closer to the marketplace. New automation capabilities offer customers more intelligent manufacturing. 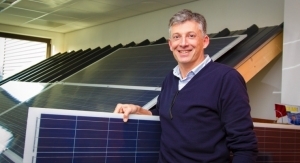 Solar Boat Twente is the first boat that fully operates on energy from thin film solar cells. 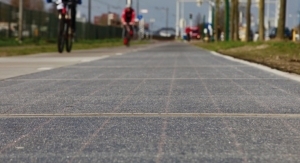 First product that parties aim to bring to large scale industrial manufacturing is pavement with integrated solar cells. Grant will expand CPEIA events that drive partnerships for innovation. Goal of using the sun to provide a significant fraction of global electricity demand is far from being realized. 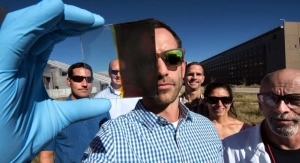 Bifacial solar cells capture light on both sides of the cell. 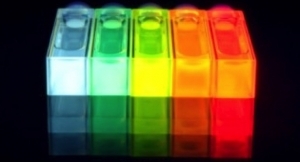 Photo shows a lead sulfide quantum dot solar cell. 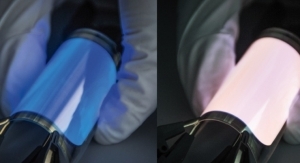 Ink could be deposited onto the substrate by either spin-coating or blade-coating methods. 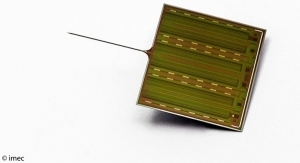 Graphene Flagship demonstrate first fully functional microprocessor based on a layered material. Technology is developed with industrially applicable processes. 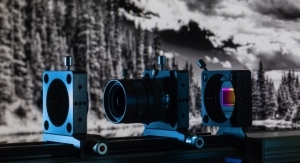 EPFL and CSEM researchers develop contactless and wireless camera system. New OE-A Board to represent the entire international value chain of organic and printed electronics. Can detect and identify a person due to a tiny, completely stand-alone vision system. Graphene nanoribbons, billionths of a meter wide, exhibit different electronic properties than 2-D sheets of the material. 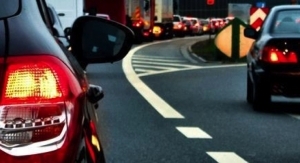 Sensors can help tires reduce carbon emissions and improve safety. Imec and partners develop new technologies to improve human-robot collaboration in industrial environments. 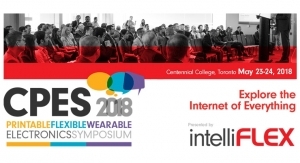 CPES2017 is Canada’s leading event for printable, flexible and wearable electronics.